Welcome and I honor you for taking this first step toward new discoveries on your life path. The journey of psychotherapy can be at once transformative, yet frightening. As you seek new ground, it can be startling and is most certainly brave to let go of the old. It is my honor to potentially be your guide on this vision quest. Let me tell you a bit about myself to help you on your search for a psychologist. I completed the doctorate in clinical psychology from the Institute of Transpersonal Psychology in 2011. My training background is diverse in working with children, adolescents and adults with numerous psychological concerns including anxiety, depression, trauma, and life transition challenges. In my practice, I utilize evidence-based treatment methods (e.g. Cognitive- Behavioral Therapy or Trauma-Focused Cognitive Behavioral Therapy) and other therapeutic modalities such as mindfulness and yoga-based wellness practices and psychodynamic interpretation while holding an Existential-Humanistic and Transpersonal-Spiritual perspective. This means that I apply state of the art treatment interventions and address your concerns from a Holistic (Mind-Body-Spirit) perspective. Dr. Rettger received a PhD in clinical psychology from the Institute of Transpersonal Psychology in 2011 and his CA psychology license (PSY27863) in 2015. In addition to private practice, Dr. Rettger is actively engaged in clinical research investigating mindfulness and yoga-based intervention for wellness; he directs the Mindfulness Program in the Stanford University Early Life Stress Research Program (ELSPAP; elsrp.stanford.edu). His diverse training background includes Existential & Transpersonal Psychology; Mindfulness-Based interventions for psychospiritual development and transformation as well as Trauma-Focused Cognitive Behavioral Therapy. Dr. Rettger is a professional mindfulness and yoga teacher and actively teaches public yoga classes at YogaWorks Palo Alto, YogaSource Palo Alto and Amity Crossfit as well as offering private instruction. He is a Experienced Registered Yoga Teacher (ERYT-200) with the Yoga Alliance at the 200-hour level, and has completed more than 300 additional training hours and is a Yoga Alliance Continuing Education Provider. Dr. Rettger’s experience as a yoga teacher informs his mindfulness-based psychotherapy orientation. At Stanford, Dr. Rettger developed a specialty of treating post-traumatic stress utilizing evidence-based treatment approaches such as Cue-Centered Therapy (CCT) & Trauma-Focused Cognitive Behavioral Therapy (TF-CBT). Dr. Rettger works with children, teenagers, and adults. Dr. Rettger completed his post-doctoral training hours in the Stanford ELSPAP and pre-doctoral training at the Institute of Transpersonal Psychology’s (now Sofia University) Community Center for Health & Wellness. He has extensive training in mindfulness-based approaches to stress reduction, wellness and psychotherapy. 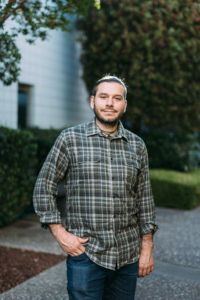 Dr. Rettger has taught mindfulness in a variety of settings including professional development groups; the legal field; an International Workgroup on War, Violence, and Trauma at Stanford; the Stanford School of Medicine’s Residency program; graduate course at Sofia University local school district staff development training; and psychology clinics. In 2015, Dr. Rettger traveled across the country as a faculty member for Summit Professional Education teaching Mindfulness-based interventions for continuing education for health care professionals. Dr. Rettger is an instructor of a Mindfulness class at Stanford WellnessEd. IMPORTANT DISCLAIMERS: This website is an information and educational communication system; it does not constitute treatment advice and while certain mindfulness and yoga practices may be offered in articles on this site, they are offered as educational materials and not psychotherapy interventions. Your visiting this website does not constitute a professional relationship between you and Dr. Rettger. Dr. Rettger does not respond to requests for information or services through electronic communications. He only responds to phone calls at 650-930-0170. Dr. Rettger does not provide any psychological emergency consultations, for emergencies please call 911 or go to your nearest hospital emergency room and request a psychiatric evaluation.